Sweet i got the lowest mileage! I am up to 14k now. It's gonna stay there for a while now cause she'll be parked with the nice weather here the Gn and Goat can stretch there legs. I'll hit this thread back up in Nov/Dec when the Rl comes out again. For sale: 16lb. 5 bars w/225/55/16 snows, OZ Alleggerita Hlt's w/235 Potenza 040's, 4 265/35/18 Falken Azenis Rt-615's, Dss stage 2 axles, misc. meth parts, wideband, dual interceptors, m62 pulleys:GM stage 2, 2.8, maf translator, stage 2 belt, Hawk HPS front&rear pads, drilled rear rotors, spline drive lugs, poly mounts, tvs pulleys:2.9, 2.85, 2.8, 2.75, 2.7, 2.6, fe5 endlinks, black low rise spoiler, 34# injectors, driver side a pillar cover, dash hawk, t/c boost gauge, misc. tires. 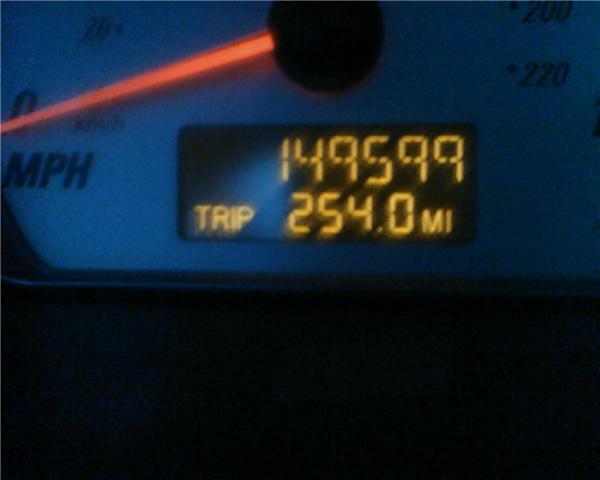 I think I have 51k on mine, 04. Thanks for the updates. In the future I will probably update this thread once a week. Noticed how I put your SN in all caps. No, it has not happened yet but I will not give up on it. "If i had a quarter for everytime i'd wished to have a nickel... i'd have 5 times the amount of theoretical change." Last edited by SPLREDLINE; 04-12-2010 at 07:43 PM.